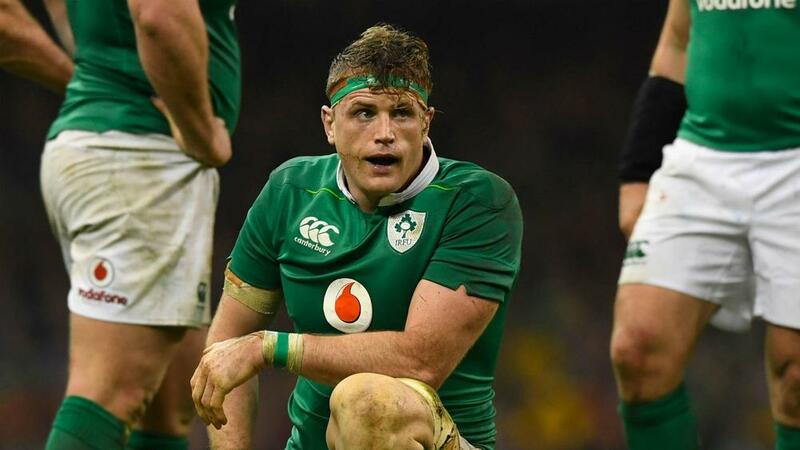 Ireland and Leinster forward Jamie Heaslip has retired from rugby. The number eight has not played for club or country since suffering a serious back injury in March 2017. Surgery and lengthy periods of rehabilitation have not resulted in a return to fitness for the 34-year-old, and Heaslip was forced to announced his retirement on Monday. "Time will get us all, but it's cornered me earlier than I hoped," he said in a statement posted on Twitter. "Every professional sportsperson always hopes to be able to leave their chosen sport on their terms but too often that's not the case. "I have had to take on board the medical advice that I have been given and after talking to Sheena and my family I have taken the difficult decision to retire with immediate effect from playing rugby in order to ensure my future wellbeing. "I'm very proud to finish my career as a one-club man having played amongst some of the best in the game, who are all like a family of brothers to me. "My goal when I started my professional career 14 years ago was to leave the jerseys that I wore in a better place and I hope I have done that… I've had the time of my life on and off the rugby pitch but now it's time for the next chapter." Heaslip made his senior debut for Leinster in 2005, winning the Heineken Cup and the Pro12 three times, as well as lifting the European Challenge Cup once. He also won the Six Nations three times with Ireland, including the Grand Slam in 2009. Heaslip was selected in the British and Irish Lions squad for tours of South Africa in 2009 and Australia in 2013. "Jamie was an intelligent and incredibly robust player," Ireland coach Joe Schmidt said in a statement. "Utterly professional, driven to succeed and a leader with the actions he delivered."